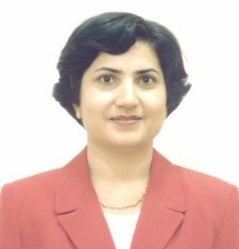 Dr. Luna Dhir is also a consultant Ophthalmologist and we work in the same hospital. She is a graduate and post graduate from Maulana Azad Medical College, New Delhi. She was awarded a gold Medal in Ophthalmology by Delhi University. She has obtained M.Med. (Ophthalmology) from National University of Singapore and is a fellow of the Royal College of Surgeons of Edinburgh (FRCSEd).